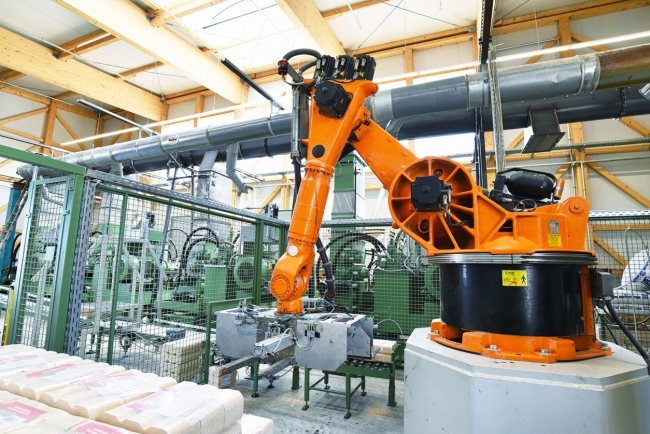 As manufacturers navigate their journey through digital transformation, it’s important to understand that you don’t need to be a tech whiz to turn the fourth industrial revolution phenomenon to your advantage. 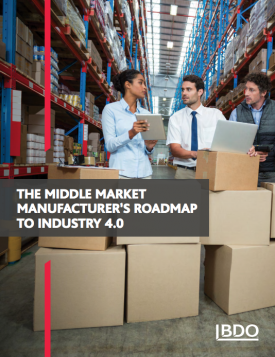 Tom Lawton, Partner and Head of Manufacturing at BDO explains the opportunity boils down to three areas of potential value creation: bottom-line impact, top-line growth and risk mitigation. While value is created in different ways, incremental value is available to every manufacturer – but it must be rooted in incremental improvements to your current capabilities. It can start with a single improvement initiative in a single functional area. Even small, functional change has ripple effects throughout the entire enterprise. These single, incremental improvements should ultimately be performed against the backdrop of your overarching Industry 4.0/digital transformation vision and strategy to drive tangible ROI enterprise-wide. Keep in mind that value creation opportunities will also evolve as you progress in digital transformation maturity. Digitisation can fundamentally change the nature of your relationships with suppliers and customers, fostering collaboration and breaking down traditional barriers. The linear supply chain will morph into an integrated value chain of mutually beneficial relationships where suppliers and customers collaborate to achieve efficiencies and lower costs by exchanging information and securely integrating systems and processes. The integrated value chain is based on a new level of transparency and information sharing, including constant, bidirectional communication and inter-company visibility into everything from inventory condition, supply status and shipping delays to future-focused factors predicting shifts in demand. This flow of information and aggregated business intelligence across the supply network is often referred to as the digital thread, the lifeblood of Industry 4.0/digital transformation. The real value of the digital thread comes from enabling faster speed to market and speed to decision, empowered by access to more relevant and timely information, enabling better business intelligence and greater intimacy with supplier performance and customer behaviour, resulting in “win/win/win” relationships. However, a world-class digital infrastructure via superfast broadband is essential to enable UK manufacturing to continue to develop and successfully digitise. Therefore, it is critical that the Government understands and invests in the right digital infrastructure.